Concours D'Elegance in Beverly Hills! Admire the best in antique cars at Concours D'Elegance in Beverly Hills! Beverly Hills is known for its style and panache. With the gorgeous houses and beautiful backdrop, Rodeo Drive is the perfect place to host the annual Concours D’Elegance. If you love cars, specifically looking at prewar and postwar classic cars, then you should head down to Rodeo Drive on Sunday, June 21st for this truly unique event. The 22nd annual Concours D’Elegance will take place on Father’s Day so feel free to bring the whole family to this FREE event that is open to the public. Every year, the Concours d’Elegance has a theme that the whole event is centered around. This year, the theme is “Highways to Heaven” in order to honor the historic Route 66, Autostrade and Autobahn. When you come down to Rodeo Drive on June 21st, you will be joining the community for the largest public event that is annually held in Beverly Hills. With a fantastic mix of both automobiles and motorcycles, the Concours d’Elegance highlights both the past as well as showing future automobile designs. Frommer’s Travel Guide even named this event as one of the “300 unmissable events in the world”. When you head down to Rodeo Drive, you will be joined by a unique group of people that have gathered from all over for the love of beautiful cars. There will be a mix of locals from Beverly Hills, car collectors, tourists and international visitors. This Father’s Day, join Beverly Hills in their annual event and check out beautiful classic cars. 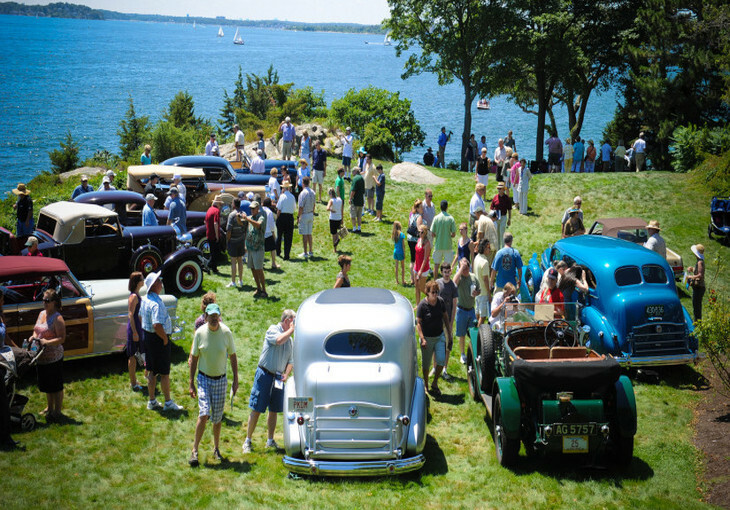 The 22nd annual Concours d’Elegance will take place on Sunday, June 21st. This event will be FREE and open to the public so it’s perfect for anyone staying in one of the budget-friendly hotels near Rodeo Drive in Beverly Hills. The event will run from 10am – 4pm so feel free to stop by anytime during those hours. Head out to Rodeo Drive and enjoy the show!